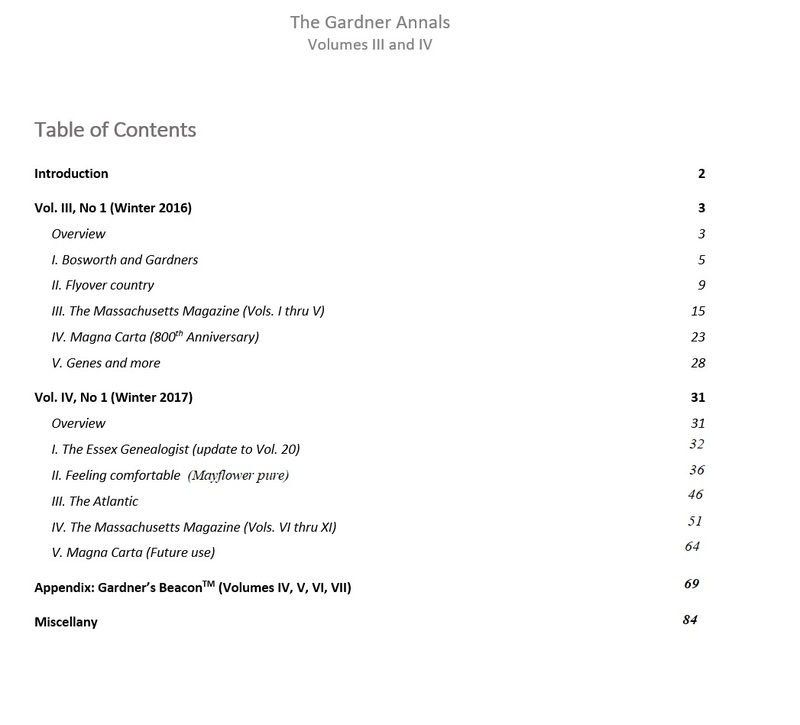 We are putting together the next print of The Gardner Annals. It will include Volumes III and IV and the remainder of the issues of Gardner's Beacon. This is the proposed Table of Contents. There is still time to suggest an inclusion. Like? Something that you have written about your line. An overview of your relationship to Thomas Gardner of Salem. Any other pertinent topic? 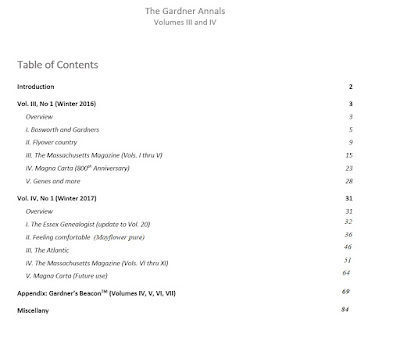 Notice that we included a guest article on 'Bosworth and Gardners' and 'Magna Carta' in TGA, Vol. III. We published Vols. I and II this fall. Next, we will have Vols. III and IV. Then, we expect to publish once a year given the material that is available. Lets us hear from you at publications@TGSoc.org.